Design matters in schools and colleges where the safety and security of our young people are becoming a growing concern. Openings, such as viewing windows and door lite inserts, in both interior and exterior applications are a major consideration toward protective design that needs to ensure high levels of safety while providing adjustable visibility for monitoring. Vision Control® integrated cordless louvers - extruded aluminum louvers within glass units - are the only solution to competently address all these design requirements. Interior vision lites in windows and doors are needed to monitor activities into student areas, gathering spaces, administrative offices and more. Visibility is important, but these windowed portals must have shatter-resistant and bullet-resistant glass. Additionally, any privacy solutions must be adjustable - permitting both open views and fully blocked visibility - and strong enough to withstand violent impacts. 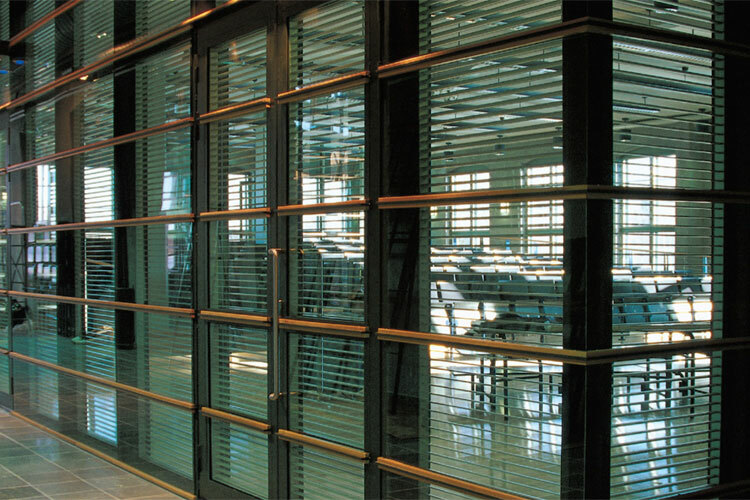 Vision Control® integrated cordless louvers - extruded aluminum louvers within glass units - are the only solution to competently address all these design requirements.